Malcolm Turnbull and his multiculturalism minister, Craig Laundy, believe Australia is the world’s most successful multicultural society. However comforting that declaration may be, the major parties have very different views on some of the hot-button issues deeply embedded in contemporary multicultural Australia. Multicultural issues may not decide the election. But the multicultural voting make-up of many marginal electorates will play a critical part in who wins these seats. In interviews with me, Laundy, the shadow multiculturalism minister, Michelle Rowland, and Greens leader and multicultural affairs spokesperson Richard Di Natale identified their priorities and passions within their parties’ multicultural agendas. Hot-button issues include the place of Muslims in Australian society, the role of the heavily criticised Australian Multicultural Council, whether Australia should follow Canada and pass a national Multicultural Australia Act, the whiteness of mainstream Australian media, whether religious beliefs should be protected from vilification, and where “multicultural awareness” should sit in the whole of government. The opportunities multiculturalism presents are key for minister Craig Laundy. For Laundy, the opportunities multiculturalism presents are key. Cultural diversity is the launching pad, for instance, into international trade under the new free trade agreements. The Chinese businesspeople of Burwood, in Sydney’s inner west, are for him the epitome of what Liberal multiculturalism can achieve. This is not a “migrant problem” perspective, but rather an “unblocking contribution” challenge. Care issues focus on the aged. Laundy is “not aware” of any issues of accessibility around the National Disability Insurance Scheme (NDIS) for multicultural communities. Rowland projects a more Laborist perspective. For her, the critical issue is economic participation. She agrees with Laundy about the central role of English-language acquisition but would push availability more strongly. Rowland notes the NDIS has seriously let down multicultural communities. The more well-established ethnic communities have taken effective advantage of the aged-care program. But she says the newer communities – especially from the subcontinent – are facing crises in their elder care, especially without culturally appropriate respite care. Labor plans to re-establish an Office of Multicultural Affairs with whole-of-government responsibilities but leave it in the Department of Social Services, with a focus on English language skills and employment. It will reintroduce the Community Capital Grant program that the Coalition stopped on winning government, and introduce a “human capital” scheme to support staffing development in the multicultural sector. Total new expenditure over the forward estimates is about A$28 million. 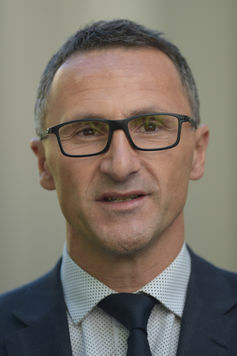 Richard Di Natale and the Greens’ key multiculturalism focus is on human rights. Di Natale has spent the longest of the three in this portfolio. He knows it and the arguments well. He is close to the thinking of the national lobby, the Federation of Ethnic Communities Councils of Australia. The Greens start with ensuring “diversity in our own team” by selecting candidates who encapsulate contemporary Australia. The Greens’ key focus is human rights. This is demonstrated in their strong opposition to the mooted changes to Section 18C of the Racial Discrimination Act and the ending of the Migrant Community Employment Fund. For Di Natale, the demographic changes in Australian society must be reflected in cultural changes in how government works. This would mean the aged care workforce can actually engage with ageing multicultural communities, and the NDIS recognises and remedies the under-representation of cultural diversity among those who receive its trial programs. Significant differences emerge on key issues. Laundy does not believe in setting targets for diversity inclusion, preferring to let the market sort it out. Given the clear precedence of Australian law in all cases, as a practising Catholic, he strongly supports the freedom of communities to use religious tribunals to provide guidance for individuals in conflict. He cites Catholic Canon Law, Jewish Beth Din and Islamic Sharia as appropriate. Laundy is opposed to extending racial vilification protection to religious vilification. He argues that religions are far stronger and don’t need it. He is also opposed to a Multicultural Australia Act, rejecting even the option of debating it. 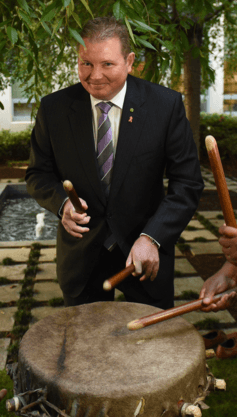 He does not believe there is any need for a Multicultural Affairs office in the prime minister’s portfolio, nor mandated participation for cultural minorities in government advisory bodies. Laundy accepts, however, that the Australian Multicultural Council needs serious work, with its membership changed to be far more representative. I know the views that vilify me are those of a small minority. Most Australians like what multiculturalism has done for the country. Any prime minister who doesn’t support multiculturalism does so at his own peril. Rowland shares many of Laundy’s social values. Labor, she stresses, has no policy for a Multicultural Act, though she also points to the party’s strong defence of Section 18C, especially through the shadow attorney-general, Mark Dreyfus. Rowland agrees that perhaps an incoming government might charge a revised Australian Multicultural Council to explore legislative options for national multicultural legislation. But it is unlikely to be an election policy, and she doesn’t have a view. 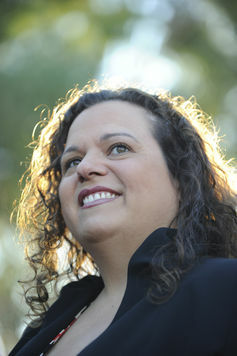 Labor’s spokesperson, Michelle Rowland, believes religious groups should play no role in any Australian legal situation. The wider issues of diversity and representation have not been on Rowland’s radar. She admits she has never discussed with the shadow communications minister, Jason Clare, issues of diverse representation on either the ABC board or in its programming. Rowland takes a diametrically opposed position to Laundy on where religious law sits. She believes religious groups should play no role in any Australian legal situation. For her, the law is and must remain secular – be it for Jews, Catholics or Muslims. She is also wary of whether religious vilification should be part of the Racial Discrimination Act, flipping it to Dreyfus as his responsibility. She would, however, have the review of the Multicultural Council as a pressing issue, especially in terms of its ability to advise government on key areas such as employment, support for grassroots organisations, and the building of more community hubs. Di Natale brings an additional spin to the debate. He points to major issues affecting elderly immigrants as the Commonwealth moves to digital delivery of information. The government, he reflects, is poorly prepared for older people who are not literate in English or often their original language, losing English skills as they age, but who are expected to have access to and use the internet. There is a real potential these people will be left behind. Like Laundy but unlike Rowland, the Greens are willing to ensure that culturally appropriate conflict resolution (he includes Koori courts) can be extended more widely. This includes using religious institutions as points of contact and resolution. Structurally, the Greens are the most committed to institutional reform, such as moving multicultural affairs back into the prime minister’s department and reconstituting the Multicultural Council. The Greens support and will promote a debate on enacting Multicultural Australia legislation to clarify rights and determine responsibilities for all Australians. This would open up a wider conversation of inclusion. Di Natale is wary in the first instance of religious vilification legislation. He fears opponents of the Racial Discrimination Act might use the opportunity to wreck the current legislation, when so much political energy was expended. A debate about cultural inclusion, however, would have many long-term benefits. Some might turn up in legislation. It might lead to cultural change and institutional transformation such as through social media campaigns against racism, and by resolving what the Greens see as the racism inherent in the treatment of asylum seekers. Where initiatives are interrogated from a perspective that incorporates cultural diversity, the policy settings look different enough to affect some people when they decide how they will vote. The new anti-terror surveillance laws may affect some members of some communities, as may the blocking of overseas Chinese investors buying into local property, from mansions to cattle ranches. While Labor’s initiatives are small, they do reinvigorate the capacity of communities to participate in debates about cultural diversity’s future in Australia. The government has yet to indicate any election initiatives, other than the budget statement about extending community hubs and a long-awaited career pathways pilot for skilled migrants without local experience. These will cost $11 million over three years. Some election sweeteners are planned. We await their release after the first fortnight of the “jobs and growth” message. In seats like those of the main multicultural spear-carriers, such engagement may well prove crucial. This entry was posted on May 13, 2016 at 10:47 am and is filed under Uncategorized. You can follow any responses to this entry through the RSS 2.0 feed. You can leave a response, or trackback from your own site.